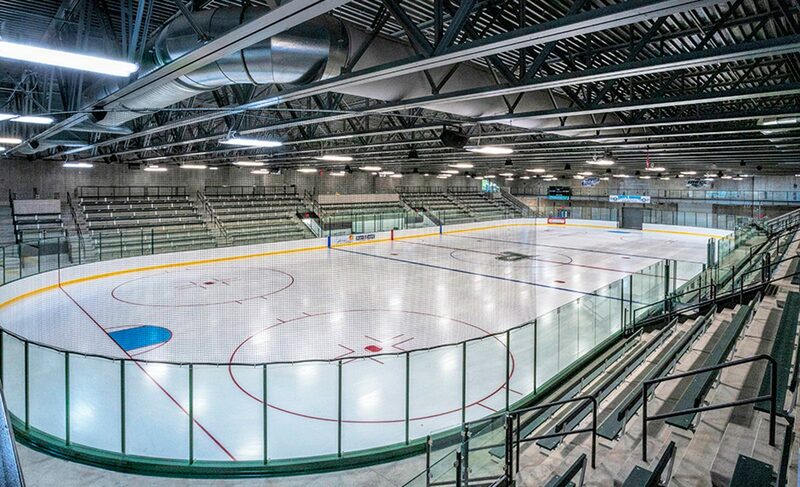 The Proctor Ice Arena is a new, single sheet ice facility in northern Minnesota. The new arena includes an NHL-size ice sheet with seating for 1,200 spectators, a community room, walking track, and support spaces such as locker rooms, offices, tickets, etc. The arena is a joint project between the school district and youth hockey association. Precast concrete was selected as the primary material due to its economy, efficiency as a structural system, and durability. 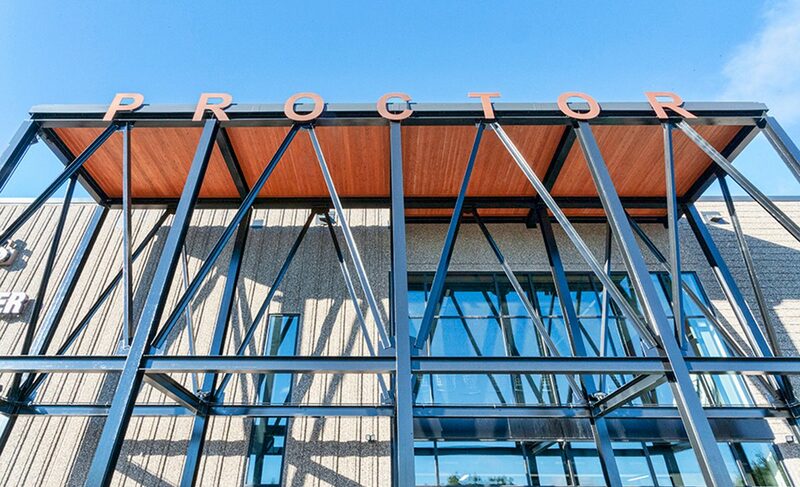 Additional materials used on the exterior — the metal panel and steel structure at the main entry — are references to the area’s industrial and mining heritage.